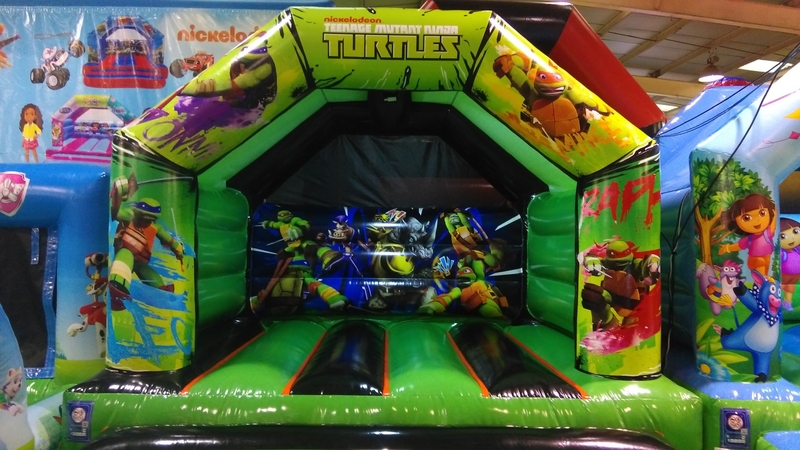 MJ Castles are pleased to announce that we are one of the first, and just one of a few companies in the UK, that hold an official license to own and hire Nickelodeons Ninja Turtles themed Bouncy Castle. The awesome graphics on our Ninja Turtles bouncy castle and Ninja Turtles themed soft play include the characters of this popular children's television classic, including Leonardo. Raphael. Donatello. Michelangelo. Splinter. April O'Neil. Casey Jones. Hamato and Yoshi and will be an amazing addition to any Ninja Turtles themed children’s party or event. Our Fully Licensed Ninja Turtles bouncy castle is available to hire for private birthday parties, fetes, corporate events or store openings in and around Liverpool.